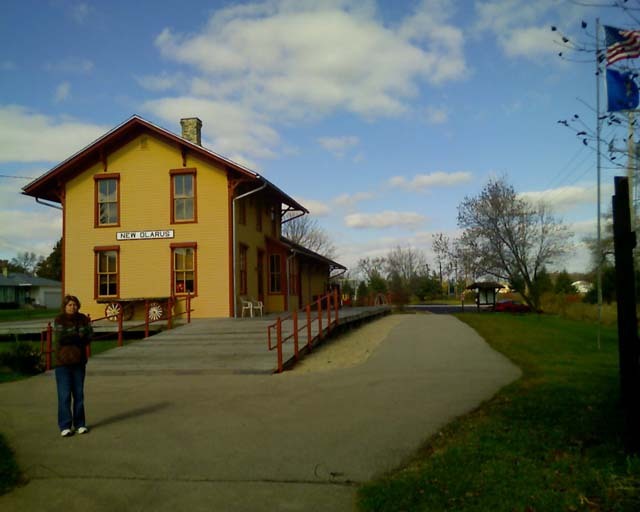 Located Railroad St. and 3rd Ave. New Glarus, WI Coordinates Lat N 42:49':02.22" Lon W 89:38'00.38"
In 1845 the Emigration Society otthe Canton of Glarus. Switzerland, sent Nicholas Duerst and Fridolin Streiff to the United States to purchase land for a Swiss settlement. They were Joined in August by 108 settlers who began their homesteads on 1,280 acres of farm and timber land bordering the Little Sugar River. The first years were hard and it was not until April 1850 that the town was organized. 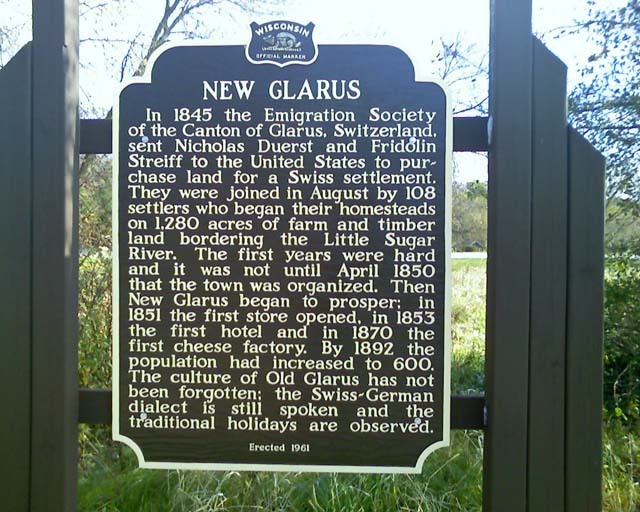 Then New Glarus began to prosper: in 1851 the first store opened, in 1853 the first hotel and in 1870 the first cheese factory. By 1892 the population had increased to 600. The culture of Old Glarus has not been forgotten: the Swiss~German dialect is still spoken and the traditional holidays are observed.